Chateau Beynac is a stunning medieval fortified chateau that sits high above the Dordogne River. This heritage listed medieval castle has stunning views across the Dordogne valley and offers a unique glimpse into the history of the time. 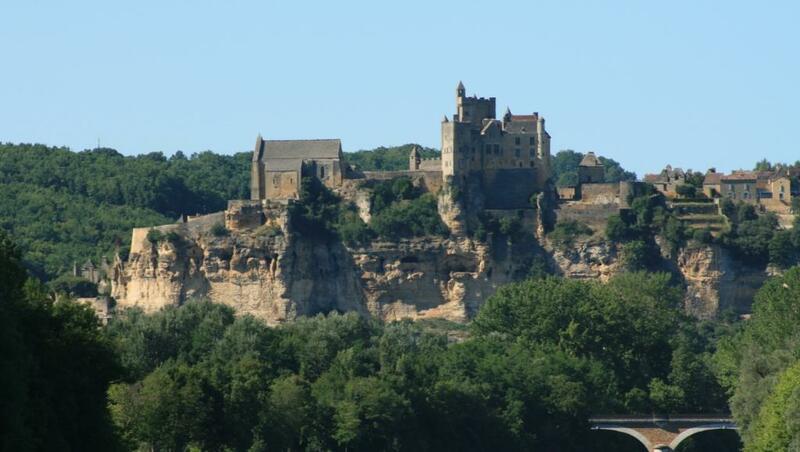 Chateau Beynac is built on a plateau with a sheer cliff to one side on the banks of the Dordogne River. With the cliff acting as a natural defense the castle was built up on the plateau and features double crenellated walls, double moats, one of which was a deepened natural ravine, and double barbican. 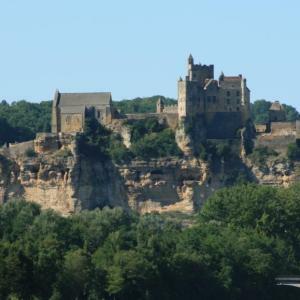 In 1050 Hélie de Beynac, the first known and recorded lord, installed the first fortified presence Castrum. The marriage between Alienor d’Aquitaine and the future king of England, Henri Plantagenêt, saw Beynac, as of all Aquitaine, come under English, controlled by the Count of Toulouse, a vassal of the king of France. However, the new king of England, Richard the the Lionheart seized the castle in 1197 to severe all links with the Count of Toulouse. His army found shelter in the central tower of the castle, however the family of Beynac retook the citadel in 1199 the same year Richard the Lionheat died. In 1214 during the Albgensian crusades Simon de Montfort laid siege to the castle. The Cathars (also known as the Albgensian) dualist religious beliefs led to them being castigated as “heretics” and Simon de Montfort was sent from the north to crush the Cathars ‘heresy’ and to recover the lands governed by the Count of Toulouse who was acknowledged to be the principal protector of the Catholic religion. 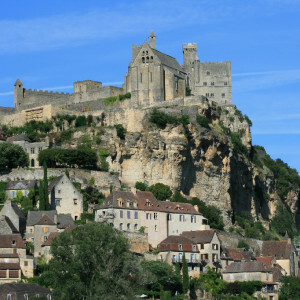 During the 13th and 14th centuries, the power of Beynac permitted it to become an important influence within the region. 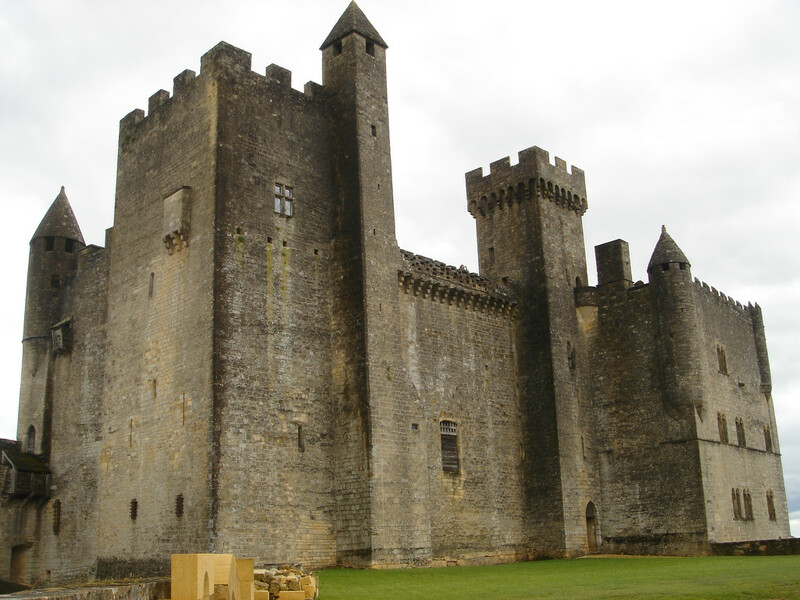 The lords of Beynac contributed greatly to the anti-English wars while all the while expanding their territory. 1337 saw the beginning of the 100-year war. The English and the supporters of the French crown waged war with each other continuously, taking and re-taking fortified sites and strongholds. In 1453 the French army were victors over the English troops at Castillon, near Bordeaux, which saw the end of the war and the valley was at peace. The countryside was in ruins and had to be re-built seeing the arrival of the Renaissance period. At Beynac the fortified wall around the village was opened up permitting the construction of houses right down to the riverside. 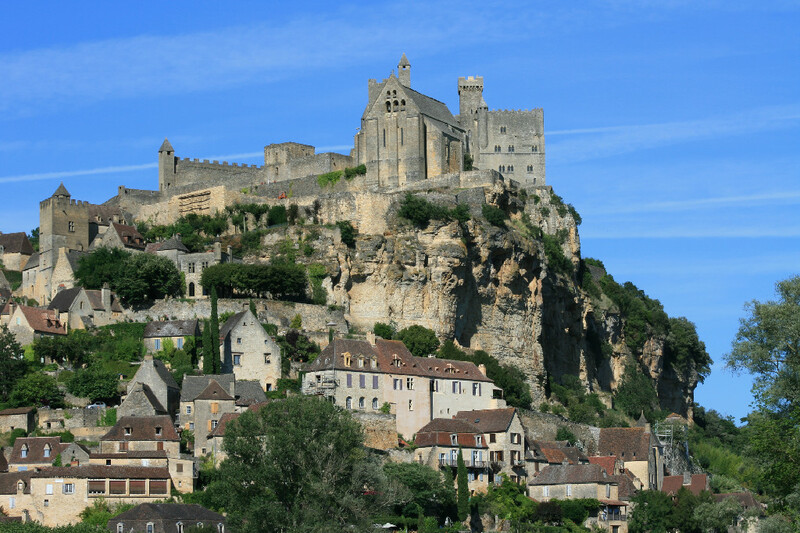 In the 15th century, Beynac was designated as a Barony and became very prosperous. 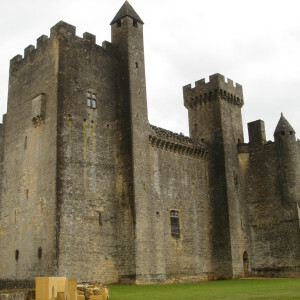 The lords of Beynac participated in the future politics and conflicts of Périgord. The village made the most of the good times, reinforcing its commercial infrastructure with the other townships and markets of the valley. However, once again war was not far away and the religious wars also brought new sufferings to the population, in particular in the 16th century. The district was to suffer from guerilla type attacks and the parish church of Saint-Jacques, in the village centre was burnt to the ground. This period saw great unreat amongst the people. Gatherings were organised in the forests, the peasant uprising, the “croquants”, had started. With the arrival of new taxes and charges only contributed to the general uprising of the country folk. The population of Beynac joined with the rebellious peasants from Saint-Vincent and Bézenac. Almost five thousand marched on Sarlat in protest. Beynac was split in two, those that lived within the fortress and those from the village outside its walls… There was revolution in the air.. In 1761, the last heiress of the lords and barons of Beynac, Marie-Claude, married Christophe de Beaumont. When Marie-Claud died in 1811, after eight centuries of history, the line of the Beynacs disappeared. As with numerous chapels in the middle ages, this one was dedicated to the mother of Christ: Marie, but locally, for the Inhabitants it is: Notre-Dame de Beynac. The origin of the first building dates back to the 12th and 13th centuries. The major part of the modifications and changes coming during the 14th and 15th centuries.